New York Outrigger is proud to announce Kialoa as a Krevey Sponsor for the 2016 Hawaiian Airlines Liberty Challenge. First Place crews in the Unlimited Division will receive a Kialoa paddle for each crew member! (excludes Mixed Race). Born on the island of Oahu in 1991, KIALOA Paddles grew out of founder and designer Dave Chun’s love for the modern-day sport of outrigger canoe racing. Driven by the need for performance equipment and a desire to build the best paddles in the world Dave started crafting wooden paddles in a makeshift shop on his parent’s lanai. 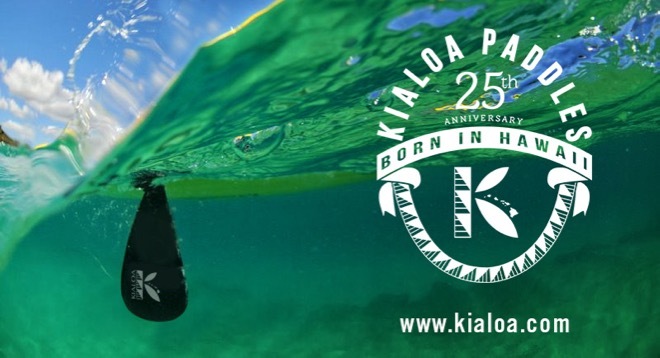 Though KIALOA’s product line has expanded to include the categories of Stand Up Paddling, Dragon Boating, Canoeing, and Kayaking, the company still holds true to its roots and core values of Po’okela (excellence), Laulima (teamwork), and Mālama (stewardship) which are steeped in the tradition of outrigger paddling.